With the latest image-processing engine, EXPEED C2, the P7000 is able to capture high-resolution images with rich tonal expression and is your optimal tool for nature photography and more! 1) An effective pixel count of 10.1 million pixels and a 7.1x optical zoom NIKKOR lens with a zoom range beginning at the wide-angle 28mm focal length (equivalent with 35mm  format) A large CCD image sensor, high-performance NIKKOR lens and new image-processing engine - EXPEED C2 - that achieves greater image quality and faster image processing, have been adopted for rendering capability that enables capture of photographic works of art. Large 1/1.7-inch RGB CCD image sensorIndividual pixels with greater pitch enable richer tonal expression and a broader dynamic range for excellent image quality, even with shooting at high sensitivities. NIKKOR lensA lens-shift vibration reduction (VR) function and two ED lens elements that effectively suppress chromatic aberration have been adopted for the 7.1x optical zoom NIKKOR lens that covers a wide range of focal lengths from the wide-angle 28mm to telephoto 200mm (equivalent with 35mm  format). These features of the NIKKOR lens enable capture of sharp, high-resolution images. Built-in ND filterThe P7000 is the first COOLPIX camera to be equipped with a built-in neutral density (ND) filter that reduces the amount of light that passes through the lens, enabling a three-stop decrease in shutter speed. This allows you to apply slower shutter speeds when shooting in bright surroundings. 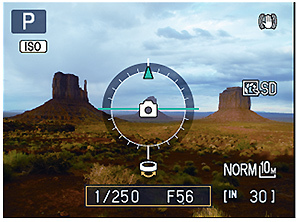 Zoom memoryThis function allows you to easily specify a preset focal length with zoom photography. As zoom can immediately be switched from a wide-angle position to a specified telephoto focal length, capturing images at the intended angle of view is fast and easy. User setting modesUp to three combinations of settings specified by the user can be registered by the camera. Simply rotate the mode dial to apply registered settings and achieve the intended results quickly. Low noise night modeThe camera automatically detects surrounding brightness and controls noise while applying a higher ISO sensitivity setting. Noise reduction filterThe level of noise reduction processing performed can be adjusted according to shooting intent. Long exposure NRReduces the noise that occurs with shooting in dark surroundings at slow shutter speeds. 4) High-speed response that ensures certain capture of fleeting scenes Preserve precious photos with instant capture of sudden movements or fleeting expressions. A power-up time of approximately 0.95 seconds and a shooting time lag of approximately 0.23 seconds ensure quick response to sudden photo opportunities. - Power-up time measured according to CIPA guidelines.Shooting time lag measured according to Nikon standards: 28mm focal length (equivalent in 35mm  format), shooting distance of 2 m, ambient brightness of LV 10; images recorded to 4-GB Class 10 SDHC memory card. 5) Tone level information display for checking exposure The new tone level information function not only allows users to verify exposure with a histogram (graph showing brightness distribution), but also allows them to choose the desired tone (brightness) from nine levels. A histogram is a graph that shows brightness distribution. - The horizontal axis shows the number of pixels and the vertical axis shows luminosity. 6) Greater support for RAW files, making them even easier to use Support for Nikon's exclusive RAW (NRW) format has been extended to continuous shooting and functions including Active D-Lighting. - ViewNX 2 (supplied) and Capture NX 2 (available separately) are required to open NRW files on a computer. 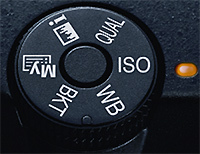 The application or updates can be downloaded from Nikon's website (support page). 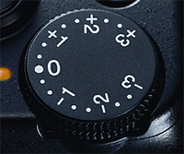 9) Superior operation that is easily mastered Adoption of a quick menu dial and exposure compensation dial makes applying camera settings faster and smoother by reducing the number of menu layers. In addition, the superior design with a focus on operation offers a natural and comfortable grip perfectly suited to shooting.